Looking to get away for your wedding? 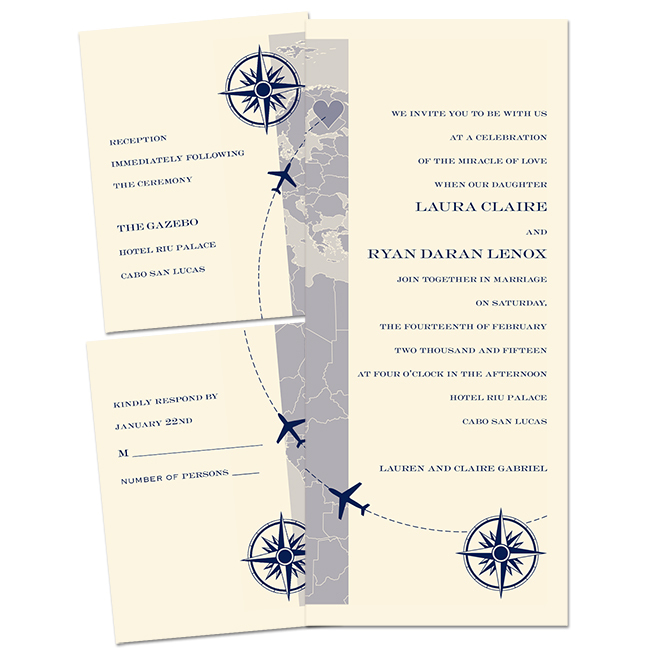 I found the perfect destination wedding-themed invitations from Ann’s Bridal Bargains. Let all your friends and family know to pack their bags because you are going to celebrate your union vacay style! Destination wedding costs can add up. 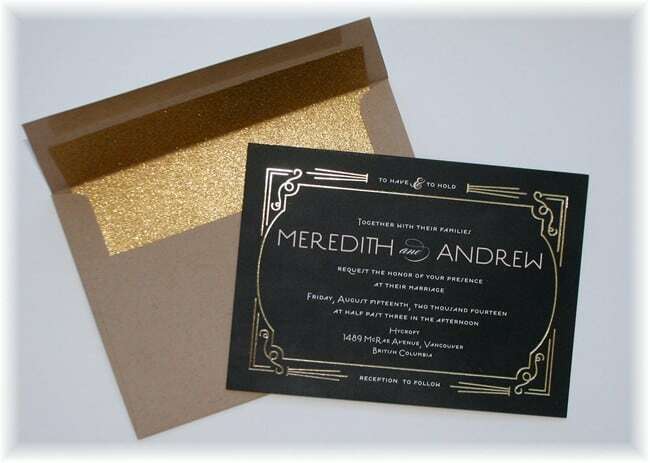 Ann’s Bridal Bargains wedding invitations allow you to find great invitations with a fitting theme that won’t break the bank. 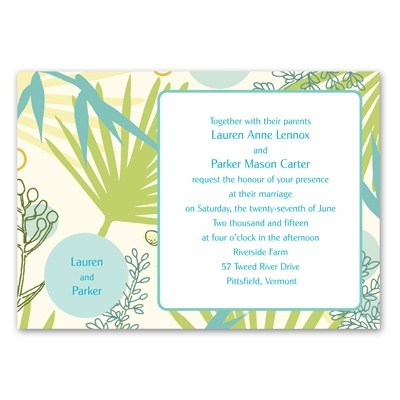 I love that they offer a range of invitations: a fun tropical feel, a playful boarding pass, or even starfish and palm trees. 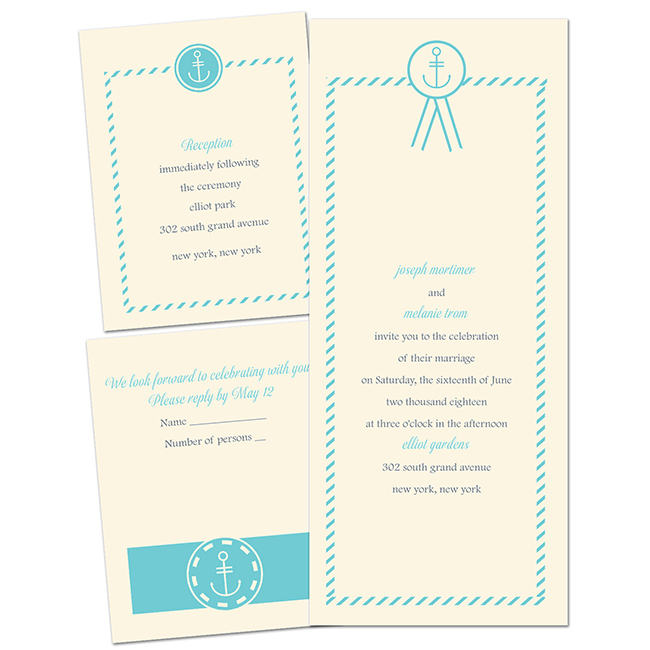 Perhaps you are staying close to home and having a sea-side affair, these classy nautical invites would be perfect to let your guest know exactly what to expect. 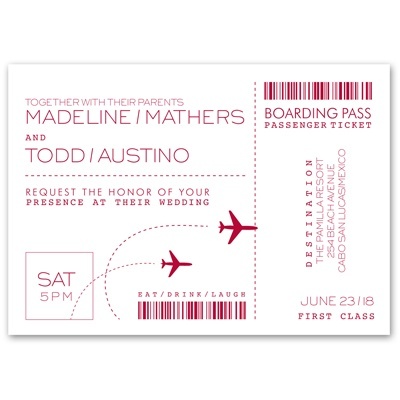 The invitations are customizable so you can tailor them perfectly to fit your wedding colors and style. Some of the invites even allow you to add a picture, which I think adds more of a personal touch. You can also add a photo of yourselves on a trip together to entice guests to daydream about vacationing. 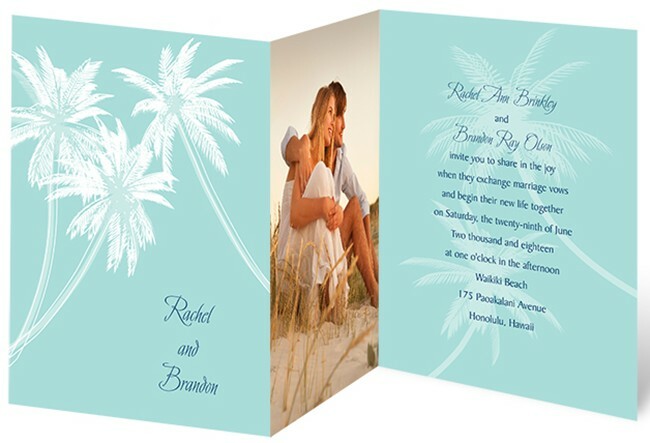 Check out what Ann’s Bridal Bargain has to offer for decor and personal touches to take with you on your destination wedding – like a cute tropical ring pillow, luggage tags that you can personalize with dates and pictures, just married flip flops, and a super cute palm tree favor box! 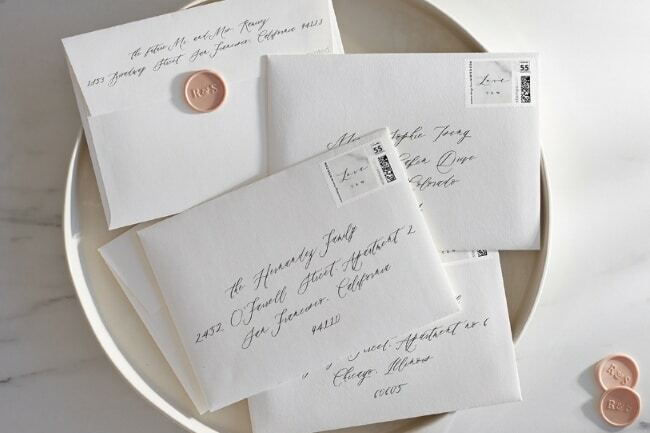 Finally, for extra savings Ann’s Bridal Bargain is offering a bonus 15% off your wedding invitations using code LOVELAV15.